The students of Peer Mentors and United Sisters and Brothers (USB) have joined their efforts this month in paying tribute to generations of African-Americans. Twice each week during February, one club student will share a biography during morning announcements to the MLWGS community. This week we heard about Garrett Morgan, Inventor, and Carter G. Woodson, an American Historian. 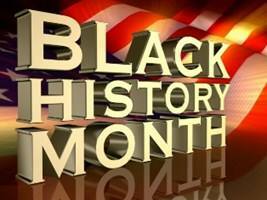 Black History Month is the perfect time to learn about some prominent and important African-Americans. For more biographies try The Internet African-American History Challenge©, an interactive quiz that helps you sharpen your knowledge of African American History. It’s an “open book” test. So if you’re not sure of an answer, you can check our reference material for help.